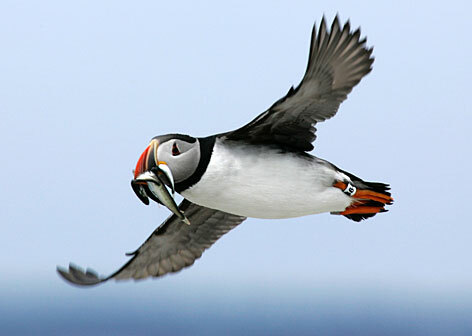 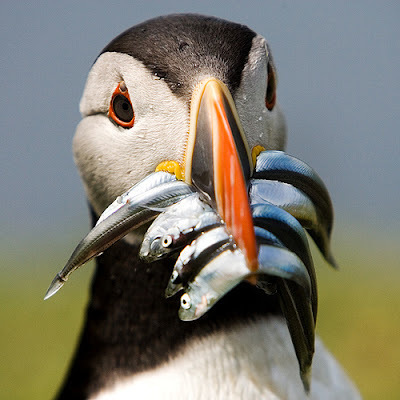 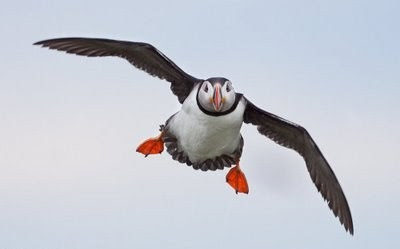 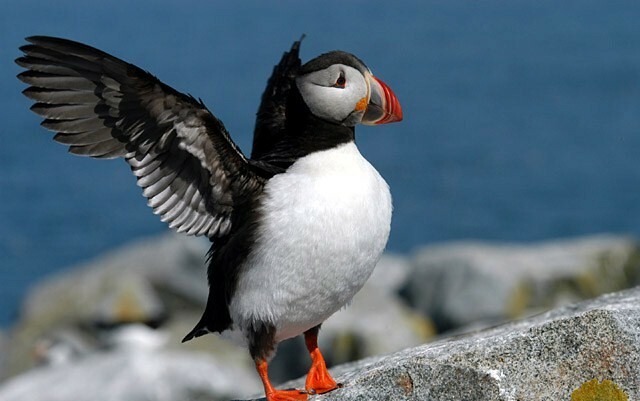 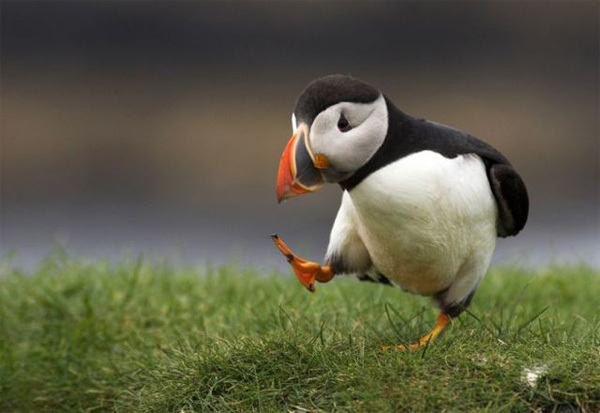 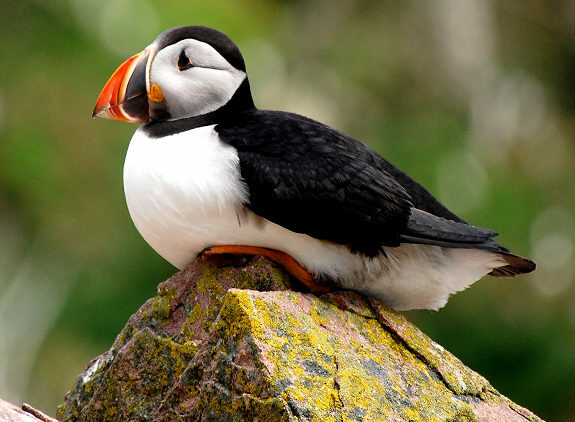 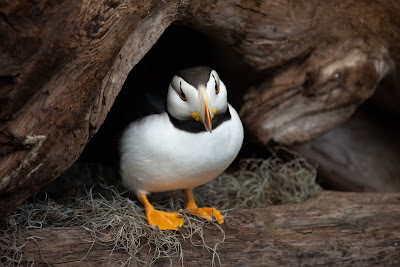 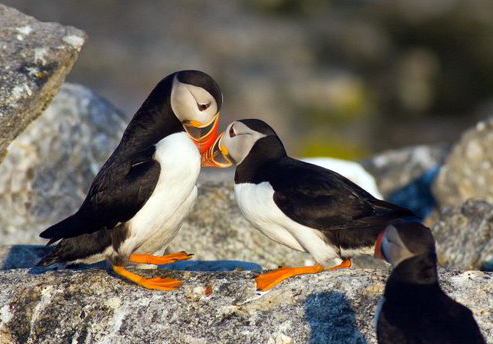 This week's cute animal is the puffin, which you'd probably recognise from the logo of Puffin Books. 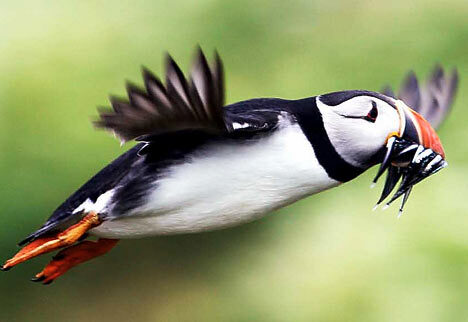 These birds live by the sea and dive to catch their prey. 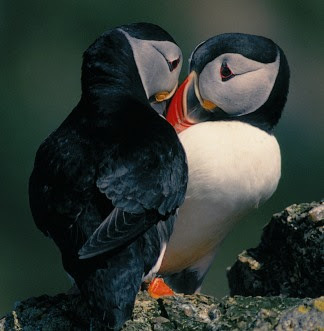 I think they are quite cute especially the picture above and below, they seem quite animated birds! I think they are quite heavily used in animation and books- nothing comes immediately to mind, but if you know of one, let me know! I haven't seen one in real life but they look very beautiful in photographs!